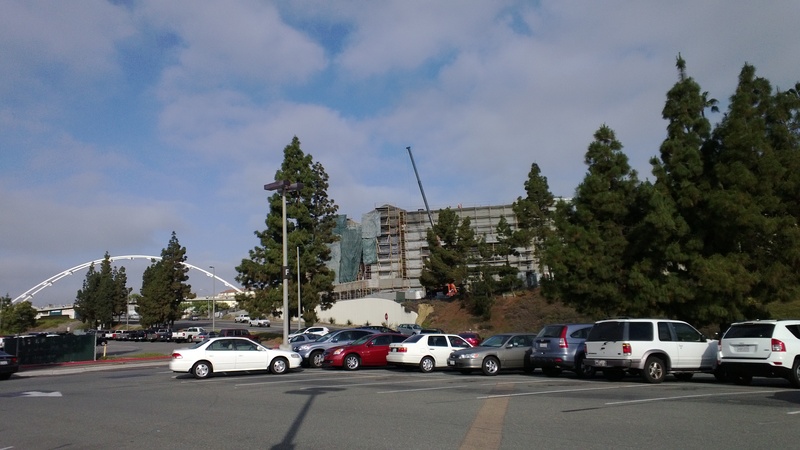 As the project team moves toward “dry-in” — where the building becomes watertight, from rooftops to windows to walls — the roof of Aztec Student Union is coming together. This crane lifts materials to the rooftop of the Union. 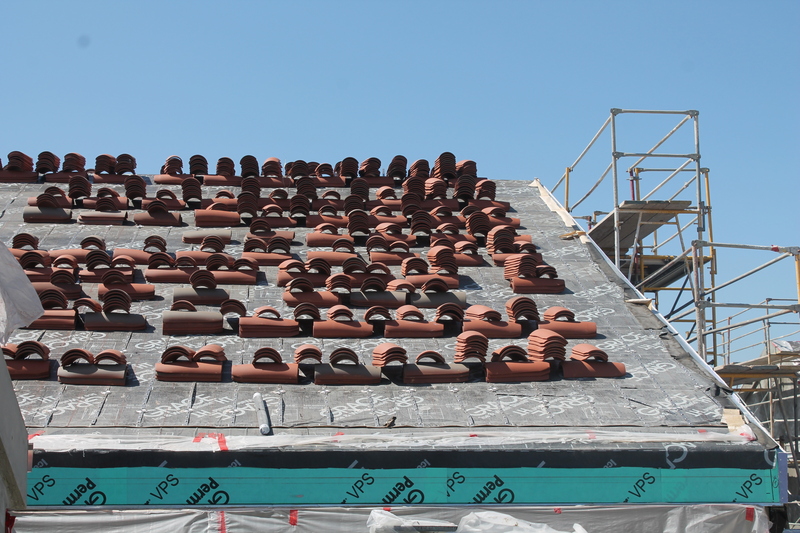 From F and G lots, you can see the crane lifting the clay tiles to the rooftop. 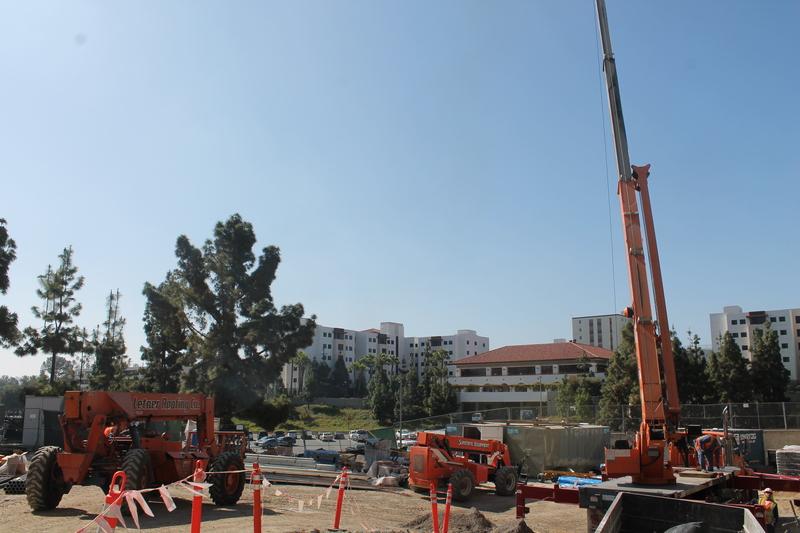 The extended crane lifts clay tiles, sheathing and other materials to the roof of the Union. 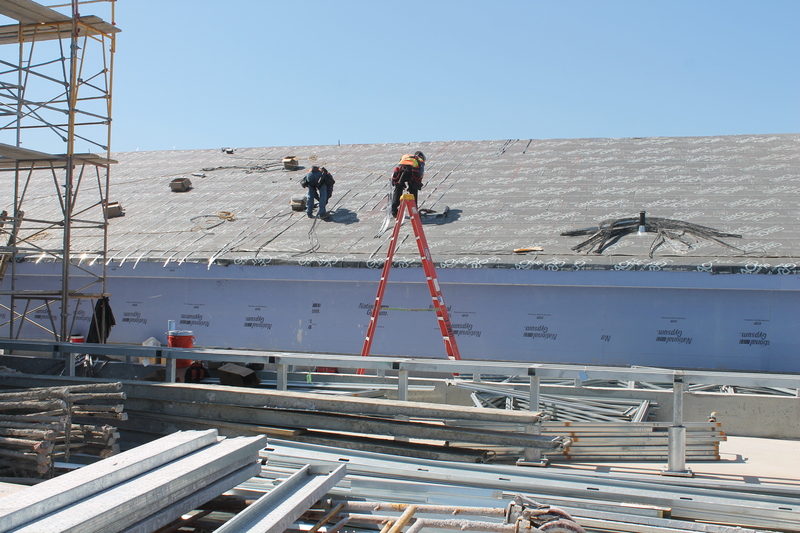 Roofers are working their way across each slanted roof, preparing each surface for tile installation. Crew members prep a roof for clay tile installation. Crew members have already started to lay out clay tiles on some roof areas. In the coming weeks, the tiles will be placed and secured, and the dry-in should be finalized within the next month or so. If all goes according to plan, scaffolding around the building could start coming down in late June/early July. Around mid-summer, we should also see the installation of the tower’s domed roof. 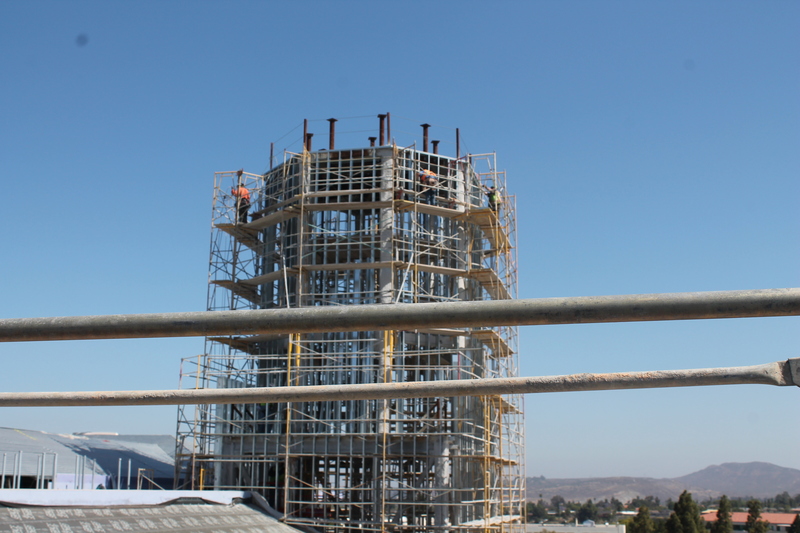 Crew members work on the framing of the Union’s tower. Jesus that thing lords over College Avenue like a bouncer in the doorway of a bar….this is why I voted it down 3-4 years ago and I stand by that decision.